Damian Davila is a professional marketer living in sunny Honolulu, Hawaii who works for Anthology Marketing Group, the largest digital marketing agency in the Hawaiian Islands. Since 2008 Damian has been writing articles on online marketing and reports on the latest SEO and startup news at his blog idaconcpts.com. Born in Ecuador, Damian has traveled extensively and held positions in Mexico, Germany, Italy and the United States. 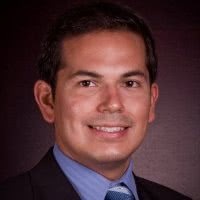 He has a MBA from the University of Hawaii and a Masters in Educational Technology from a joint program between the Tecnologico de Monterrey and the University of British of Columbia. Find Damian on Twitter at @idaconcpts. Intechnic is full-service Web Development company offering an extensive range of Internet services to businesses and organizations around the world. We specialize in web development, e-commerce, mobile development, hosting and more. Intechnic's industry leading team is at the forefront of pioneering results-driven Internet business solutions and technologies.